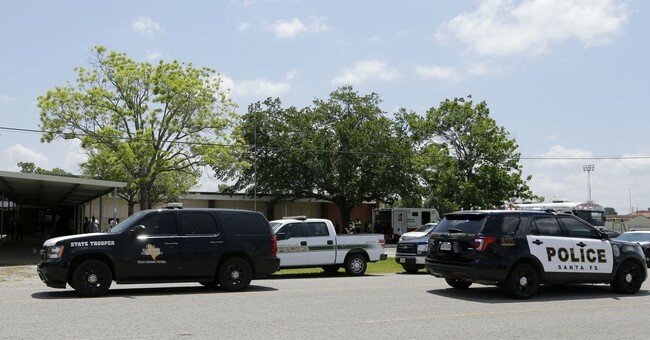 Santa Fe is the latest tragedy in a line of catastrophic school shootings. Our children are sitting ducks in their schools these days. Our children are everything to us. They are our future. Our happiness. Our light. Why is it that we do not protect our most precious humans like we protect our banks, or police stations, or courthouses? Why are Americans so lackadaisical when it comes to school security measures? I attended a City Council meeting and observed PTA mothers ask City Council to NOT place any armed police officers in their kids’ school. They said they did not want anyone armed on school campus. Parents, whose children go to that school, did not want anyone at that school who would be able to stop a shooter. Their reasoning, or lack thereof, still pains me months later. What’s the point of school security? To protect children’s lives. Why be against the protection of your child’s life? This boggles my mind. I believe that an overwhelming majority of parents value their children’s lives above all else. That’s how humans survive - we protect our children so that they can live on and have their own children, and so on. To protect our children when we are not in school with them, we need to be able to hire armed, trained security. But to this date, very few schools in the US have hired full-time armed security guards. We hear smart advice from security experts about instituting Israel’s school security measures. But we don’t implement them. Why? Israeli schools, by law, must post armed guards to check anyone who enters the school. These guards engage threats, and they work at the school every day. There is only one entrance into each school, and everyone who enters the school must pass through one entrance. Israel has diminished their school shootings. It looks like this works. So why don’t we do this on a large scale? Democrats. Instead of enacting immediate, effective measures to stop school shootings, Democrats are encouraging “policy change” for background checks on gun purchases. Democrats are successfully convincing Americans that the longest road to the least tailored solution is the optimal response. Democrats have convinced Americans that asking the government for policy change and waiting many years for policy change to take effect, asking for a law that does not directly shield children from any immediate harm, is somehow a valuable use of their adrenaline. While encouraging this far-stretched concept of “gun control,” Democrats are simultaneously discouraging immediate response measures. This appears to be because the immediate response to bad guys with guns requires good guys with guns. That’s where the Democrats retract. They have spent so much time and effort on vilifying the inanimate object that is a firearm, that admitting it can be used for good becomes a political nightmare for them. So they don’t do it. Democrats need to stop capitalizing on school shootings to promote the idea of policy change on gun ownership. This approach to school shootings has done NOTHING to prevent school shootings, and in fact, cannot stop them. They need to prioritize children’s lives over their political games. This call for gun control after every shooting is an unethical waste of opportunity to call for the immediate protection of life. That City Council meeting I discussed in the beginning, it was in a city that votes over 78% Democrat. Odds are that those PTA moms were Democrats or listened to liberal news. That’s the only reason I can think of that would cause an otherwise rational parent to have asked the City to keep armed security away from their school. But don’t just listen to me. I’m not an expert. Listen to security experts. America has thousands of trained security experts. So do our allies, the Israelis, who instituted the most successful school security measures in the world. I read, listened to and spoke with some of our American experts before writing this article. They studied and implemented security, and they studied shootings from around the world, including Breslan, Russia (334 killed), Ma’alot, Israel (25 killed), and Colorado, USA (15 killed). They all have advised the same thing: schools need dedicated, trained, armed security and limited entrance points guarded by armed security. Well, our experts have described the exact system that Israel has implemented. It looks like the solution is unanimous. But Israel has been successful at implementation because their government is on-board with immediate response to assaults on children. They listened to the experts. Our experts go into significant detail as to how security can be improved for each school. They discuss everything from limiting entry points to forcing everyone to pass through metal detectors. Experts also recommend ALICE drills for the students. Security experts advise that security measures must be tailored to each school. They have spent the past two decades developing these ideas as our school shootings have been increasing. We need to listen to them. You need to take action in your schools and communities. Ask your child’s school about security. Demand armed, trained security permanently posted at each entrance. Attend town meetings and council meetings, and tell them that you want armed security. One school resource officer is NOT enough. Ask for the school to hire an expert to evaluate your school’s needs to recommend a customized security plan, everything from reducing entrance points to adding metal detectors to implementing the adequate number of security guards for each entry point. I practice what I preach. I’ve already notified our school of our security demands and our school tells me they are listening. I need to do more. I will continue to do more. Don’t be shy and don’t worry about offending the school. Protect your children. Protect America’s children.